Last year, 104 people lost their lives after fires ravaged almost 2 million acres in California. In recent years, hurricanes Irma and Michael caused tens of billions of dollars in damage in Florida. As the climate continues to change, it is expected that natural disasters will occur more frequently and with greater intensity. The pictures of towns set ablaze, of Floridians huddled in shelters, will become the norm, unless national and world leaders begin to take decisive action soon. As a high school student, I am troubled by the effects of climate change. However, it is more disturbing to see the incompetence of adults, especially politicians, who try to distract us from the climate crisis, rather than try to find solutions to it. Forest fire after forest fire, hurricane after hurricane, it is clear the climate is changing, but our policies, regulations and laws are not. Unchecked, climate change will devastate the earth for my generation. Irregular climate patterns will devastate farmers and lead to food insecurity, tens of millions of climate refugees will jeopardize our national security, increased pollution will lead to the death of millions, and billions of dollars of infrastructure will be threatened by rising sea levels. My generation will be paying the price for a crime we did not commit. While it is inspiring to see bipartisan strides (such as Gov. Ron DeSantis’ promise to clean Florida’s waters) in our state to protect our environment, addressing environmental issues remains an incredibly divisive issue in the Washington D.C. When politicians say the cost of addressing climate change is too steep, they fail to realize a simple reality — inaction will not save the economy, rather it steals from the next generation. Moreover, the argument that we must choose between the economy and the environment is flawed. Innovations in clean energy pave the way for a future that reduces our dependence on fossil fuels, while creating tens of thousands of new jobs. For years, it has been beyond frustrating to watch the inaction of adults in dealing with such an urgent issue. We demonstrated our dissatisfaction on March 15 when more than 1 million students boycotted school in a student climate strike. It is imperative that adults hear our pleas and take action. The solution to the climate crisis is found in democracy. The power to vote is the greatest asset there is in the fight against climate change. By supporting candidates from both sides of the aisle who urge action, we can make a viable solution a reality. However, one does not need to wait until an election to make their voices heard. Call your congressperson and get involved in the community. Educate yourselves on the issue and demand action from your elected officials. Grassroots organizations such as Citizens’ Climate Lobby empower ordinary citizens to lobby for national action on climate change. It is the responsibility of every citizen to take control of the future. Most of my generation cannot vote, so our fate rests in your hands. 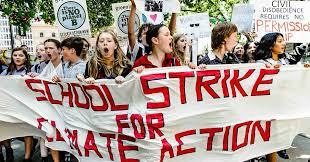 Will you continue to ignore the crisis of climate change, passing the buck to my generation? Or will you ensure a safe, habitable world for my generation? 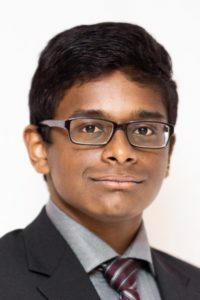 Vasakan Mahesan is a sophomore at American Heritage School Boca/Delray. He has been a volunteer with Citizens’ Climate Lobby for 2 years.